Background/Info: Holygram is a German formation, which wants to compose a sonic bridge between new-wave, post-punk and industrial-krautrock. 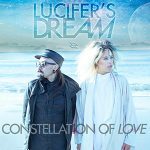 This EP was originally released on the Spanish label Oráculo Records as a 5-track vinyl and on digital platforms. Their hometown label Reptile Music re-released the songs on CD format with 4 extra cuts (remixes). Content: I never heard of Holygram before, but I was positively surprised. The songs mainly remind me of good-old 80s souvenirs and The Cure clearly appears to be a potential source of inspiration. The deep, resonating bass and melancholic guitar parts will give you the illusion awakening somewhere in the midst of the new-wave years. The songs have been sung in English reinforcing the original UK spirit from the 80s. Bow And The Twins maybe is one of the most familiar names among the remixes. D’Evoé, Blind Delon and Bob Humid are the other remixers. 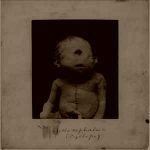 + + + : “Holygram” will rapidly awake good-old souvenirs from the 80s. The melancholia running through the songs will possibly appeal to fans of The Cure. It sounds a bit dreamy-like, but mainly dark and somewhat depressed. The lyrical themes only accentuate the darkness hanging over this work. The low bass lines are totally fitting to the work. Among the remixes I especially recommend the minimal- and electro sounding “Acceleration” remixed by D’Evoé. – – – : Among the five original songs there’s just one little piece (cf. “Acceleration”) which can’t convince me. The remixes don’t really add a bonus for all of those who already know the original release of “Holygram”. 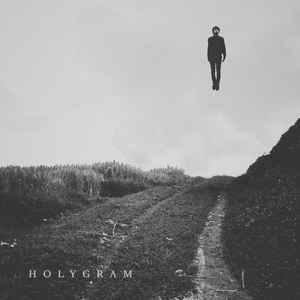 Conclusion: Holygram is an interesting newcoming band for all fans of traditional 80s new-wave music. This EP tastes like more! Best songs: “Still There”, “Daria”, “Distant Light”, “Acceleration – D’Evoé Remix”.